Ignorance can be costly. “If you can’t get into this person’s email account, if you have no idea where this person banks … the [deceased] person may have a million dollar account at Fidelity, but you just don’t know, says Prangley. The opposite situation is also a problem. Recurring bills that are on auto-pay may continue to be paid even after the product or service is no longer needed. “We’ve seen instances where someone has been dead for years and they’re still paying for The Economist online,” says Jacobs. To find open accounts, such as credit cards that aren’t regularly being used and generating receipts or bills, you can get a copy of the deceased person’s credit report from one or all of the three consumer credit reporting agencies, TransUnion, Experian and Equifax. But you’ll need documentation, agency representatives say. For example, all three require a copy of the death certificate and proof that you have power of attorney or are executor of the estate. In addition to banking and investment accounts, many people access their airline, hotel and other rewards programs online, says Glenn C. Williamson, CEO and founder of WebCease Inc. in Portland, Ore., which helps heirs track down those digital assets. “I personally have half a million Hyatt points, valued at $35,000 to $45,000,” Williamson says. … Maybe there was some sort of business you as the heir don’t know about. The money goes right to the grave. North American respondents to a survey by security giant McAfee valued their digital assets at an average of $54,722 with listed assets including music downloads, photos, emails, financial and health records, career information and contacts, and hobbies and creative projects. Even a great-grandfather may have digital assets if he’s been online, says Williamson. “We did one 91-year-old guy who didn’t even have an email address and he had hotel points,” he says. Another man in his 80s had a separate Facebook account for selling RVs — news to his family, Williamson says. Finding assets online can be time-consuming. First, heirs have to know an account exists. Second, they have to be able to gain access to that account via usernames and passwords. Williamson estimates it took him 25 hours to find his mother’s online accounts after she passed away, which gave him the idea for WebCease. WebCease routinely searches about 60 nonfinancial online accounts, including photography sites such as Flickr, hotel and airline rewards programs, social media sites and e-commerce sites including Amazon, PayPal, Netflix and eBay. WebCease lets its clients know what it finds, and then gives them each site’s policies and information on how to transfer the digital assets and how to shut down the account, Williamson says. Passwords are the next hurdle. Even if you as the executor or heir have written permission from the deceased account holder to access accounts, without the proper passwords, online providers may not give you the content, says Hazel Sanchez, estate planning attorney at the Law Offices of Rhonda H. Brink in Austin, Texas. Some online providers, if they were to find out the account holder is deceased, would simply close the account and delete all the information on it. Sanchez recommends that if you do have access to usernames and passwords, you print out hard copies of financial information so that even if the accounts are later deleted, you’ll have the information you need. Sanchez says a little pre-emptive action can prevent any problems related to unauthorized access. “We recommend will provisions that give the executor authority to access the deceased’s digital assets and accounts,” she says. Eventually, though, you’ll want to make sure you close accounts for security reasons. The identities of nearly 2.5 million people are misused every year to apply for credit, according to a 2012 study by ID Analytics. When you die, it’s public record. It’s so much easier to steal a deceased person’s identity. Even if you’re not looking for open accounts, you still should contact the credit reporting agencies with a copy of the death certificate, so the credit file can be updated, says Clifton O’Neal, vice president of corporate communications at TransUnion. You may also want to contact the Direct Marketing Association to have the deceased removed from marketing mailing lists, Sweet says. “Having those arrive in the mail can be painful for the relatives,” she says. You can prevent many of these hassles for your own heirs by making preparations now. A few simple measures can lessen or eliminate the need for your loved ones to become online sleuths after you’re gone. Even if you do business mostly online, elect to receive some paper statements so your heirs will find out about your accounts from mail delivery, says Jacobs, the author. “Even though I favor cutting down on the paper in our lives, this is not the place to do it,” she says. Combining financial accounts or at least moving assets to a small number of providers makes them easier to keep track of, Jacobs says. “I know of a number of elderly people who have certificates of deposit at 50 different banks,” Jacobs says. Finding the records could be sheer luck. Jacobs and her husband went to one bank her mother-in-law used to cash in one of her CDs and the bank officer told the couple she had a second CD that they hadn’t known about. Make a list of accounts with the name of the financial institution, account number and how it’s titled and put it in a folder if you’re comfortable having that information at your house, Jacobs says. If not, make one list of user IDs and a separate list of passwords, Sanchez suggests. Give each list to a different person and tell your executor those people’s names so the two lists can be put together when you pass away, she says. She acknowledges that keeping the list up to date could be time-consuming, but says it’s necessary. “We think it’s very important for everybody to make a list inventory of what they have,” Sanchez says. As you make that list of user names and passwords, consider naming an online executor, who could be separate from your overall estate executor, says Prangley, the estate attorney. An online executor would identify and provide information to your family about your online accounts and digital assets and they could sell what might be useful to others, she says. Further, the online executor could delete any emails or other online communication that might hurt your family members, she says. “Every once in awhile, I’ll get a notification that it’s his birthday, it’s part of the settings that were used to establish the account,” said Sears, a tax manager at Buffalo accounting firm Lumsden & McCormick. Sears knows firsthand that once a Facebook user passes on, his or her page lives on because it’s part of the company policy. Unless someone other than the deceased has login information, the company will keep a page up and running. Before paperless statements, she said, someone would go through the mail of a deceased person to learn of accounts that needed to be addressed. But that’s not enough in the 21st Century. She added that to make sure that a person’s social assets — which include social media accounts, online banking, Web mail and other cloud-based applications that house music and other information — should be shared with a family member or attorney. This way, bills can continue to be paid and family photos can be accessed. Sears suggests that a first step in taking care of digital assets is to create a log of all accounts, usernames and passwords. “It’s important to share passwords, create some sort of list with adult children or your attorney, when you set up your will,” Sears said. Patricia Farrell, managing director at Wilmington Trust in Buffalo agrees, and said that it’s important to not include usernames and passwords in a will, in case a will ends up becoming public record. Instead, store the list in a safe place and back it up on a flash drive. 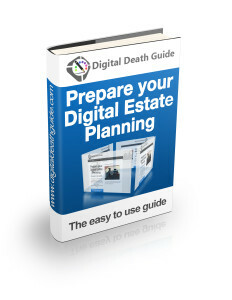 Do you know what digital estate assets are? As an estate trustee, you have to secure estate property. This can include protecting valuable digital property. Here are some digital estate dos and don’ts for executors. 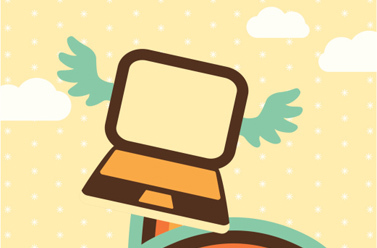 Electronic or digital information can be a digital asset. It can be stored in various electronic devices such as hard drives, computers, tablets and cellphones. Information can be stored in memory devices, networks, online or in the cloud. As an executor, you are required to collect estate assets. You will need to include devices with digital or electronic information. It may be difficult to distinguish what is valuable. How Do Executors Get Access Get a head start with a list of a person’s usual websites, user names and passwords. This assumes the person who asked you to be executor can prepare a list. You may need to hire a tech wizard to gain access to the deceased’s digital world. 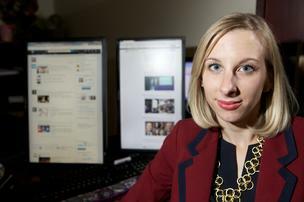 Social media sites may be controlled by user agreements. These may dictate that a user has no property rights. The user only has a license and access to the network. The user agreement may also specify that a password is non-transferable. The legal situation is not clear for executors. Most social media sites rely on their user agreement. These prohibit access and can deny estate trustees the right to deal with content. Digital asset legislation, if it exists, varies by jurisdiction. Some areas have statutory rules. As yet, no uniform laws exist to create a code of conduct. Executors have little guidance from court decisions. Few cases have ended up in court over digital property. A clear understanding of your executor’s rights and responsibilities may not be possible. You, as executor, may not know how to deal with digital accounts. You may not be able to identify what electronic files should be closed or maintained. You must, however, take control of online financial information. 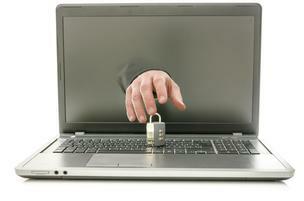 Online identity theft is common but difficult to detect. Executors may not find paper bank or credit card statements. Utility accounts may be preauthorized and paid from electronic accounts. Be aware that you may need to stop or close online bank, credit card or e-trading accounts. These personal financial resources need to be protected. Even emails and voicemails may need to be examined. These may require access usernames and passwords. Reward and loyalty programs for airline, shopping and membership rewards may exist. These may be non-transferable or transferable within a limited time, subject to specific conditions. How should executors deal with online photos, videos and materials? Should they make copies of online materials? Should domain registrations, website and blogs be preserved? Will the business website need to be maintained? What about membership and online subscription lists? I welcome your thoughts on the best way for executors to deal with digital assets. According to Pew Internet and American Life Project, 73% of online adults use social media. But what do you do when a family member or friend on these sites passes away? The UpTake: According to Pew Internet and American Life Project, 73 percent of online adults use social media. When a family member or friend who used social media passes away, how do you protect identities and life from identity theft? In this Digital Age, more and more people are connecting on social media. As of May 2013, 72 percent of online adults use social networking sites, according toPew Internet and American Life Project. The unfortunate aspect of so many people using social media is that when one of our friends or family members dies, we are forced to not only deal with their identity — in terms of their personal information — but also with their digital identity. Family members and friends question if they should take down the loved one’s social media or leave it as a memorial for people to leave comments and reflect. Technically there is no right decision to make in this difficult situation, yet family members and friends need to consider that if they leave the profile online, then they might be putting their loved one’s identity at risk. This is mostly because of constantly changing privacy rules for all of the major social media websites. If the family members or friends do decide to delete the digital identity of their loved one, then here are some tips on how to request the removal of the deceased’s account. Facebook:This social network’s policy is to memorialize the account of a deceased person, however it understands that some people want to delete the deceased person’s account. To memorialize an account, simply contact Facebook, provide proof of death and request for the account to be memorialized. To delete an account on Facebook, you’ll need to fill out thisonline formas well as provide proof that you’re related to the deceased. Facebook considers appropriate proof to be a death certificate, the deceased person’s birth certificate or proof of authority. Twitter:Unlike Facebook, Twitter’s policy is to deactivate the account of the deceased. In order to complete this you’ll need to mail Twitter a packet of information, including the username of the deceased user’s Twitter account, a copy of the deceased user’s death certificate and a copy of your government-issued ID. After you’ve mailed or faxed all of the required documentation, a representative of Twitter will contact you to complete the deactivation process. Instagram:This social networking website requires you to send an email to support@instagram.com with the details of the person’s account. A representative from the company will then email you back and include the steps and documentation that you need to remove the account. LinkedIn:Similar to Facebook, LinkedIn prefers to have you fill out anonline form, which asks for information such as the deceased member’s name, deceased member’s email address, the name of the company they recently worked for, your relationship to the deceased person and a link to the deceased person’s email address. Once you complete the form, a LinkedIn representative should contact you. Pinterest:This site requires you to fill out anonline contact formand explain that you’d like to deactivate the page of a deceased person. In the “body” of the contact form, you should include a link to the deceased person’s Pinterest page or their Pinterest username. It’s also important to note that once you’re contacted by a Pinterest representative, you’ll need to provide some sort of supporting documentation, such as an obituary or copy of the death certificate. Tumblr:Similar to Instagram, Tumblr requires you to send an email to support@tumblr.com requesting to remove the account of the deceased person. Be sure to include a link to the deceased person’s Tumblr or their Tumblr username. You’ll then work with a Tumblr representative to prove the person is deceased — with appropriate documentation — and complete the process of removing the account. Since all of these companies haveprivacy policiesthat forbid them from giving out the account information — such as username and password — it’s best if you, as a living person, write down the usernames and passwords for your social media accounts and keep them in a safe place. This way, your family and friends won’t have to go through the stress of contacting each of the social networking websites to have your account removed because they’ll instead be able to go into the account and deactivate or remove it themselves.